An economical way to serve any cold beverage. .
3.5 oz. 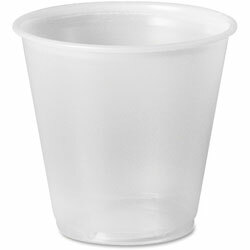 Translucent Plastic Cups from Solo Inc.! 4550 In Stock today.